Maintaining your truck is one of the most important things you can do to keep it in good running condition for many years to come. Spring truck maintenance should consist of checking all the fluids in your truck and ensuring that it is ready to face a long, hot summer. You should also check the condition of the tires and replace any parts that are worn or not working properly. The winter season can put a big strain on your truck, so it is important to carefully check all of its systems before the weather gets too hot. Most people start their spring truck maintenance by checking everything under the hood. Of course, you will want to make sure that your oil is at the proper level and that it has been changed recently. If it hasn’t, this is a good place to start your maintenance routine. The next thing you should check is possibly the most important system on your truck, next to the oil in the engine. 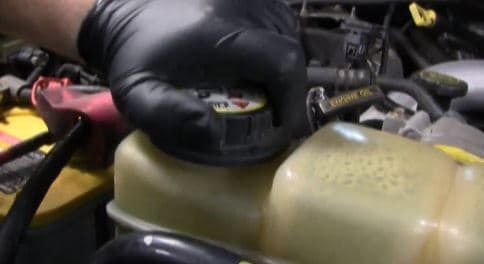 Carefully check the condition of the radiator fluid. If it is dirty or appears rusty, it is likely time to consider replacing the fluid and flushing the radiator. While you are doing this, check the condition of the radiator hoses and make sure that there are no holes or weak spots and that radiator fluid does not leak around the couplings when the vehicle is running. This is critical if you are to keep your truck running well into the heat of the summer. Also be sure to check the condition of the air filter while you are doing maintenance under the hood. Top off any other fluids that are low, paying close attention to the power steering fluid and the transmission fluid, assuming that your truck has an automatic transmission. Next, check underneath your vehicle to make sure that there are no leaks or other obvious signs of damage. If you have an older truck, make sure that joints are properly lubricated. Check the fluid in the rear differential. If your truck has four wheel drive, do not forget to check the transfer case. Finally, you can focus on the condition of the brakes and the tires. Replace any parts that are worn and take care of any other maintenance issues that may exist. Once you have completed the maintenance on your truck, it should be ready for spring and even provide reliable service into the hotter summer months. ← What is Your Favorite Pickup Truck?